Wolle’s Color Changing Cotton is a cotton yarn consisting of several strands of cotton thread that gradually change color over the entire length of the yarn. This is accomplished by starting with four or six strands of the first color for approximately 53 yards, then one strand is cut and the second color spliced on. The yarn continues for another 53 yards, then a second strand is spliced with the second color, then the third and finally the fourth. 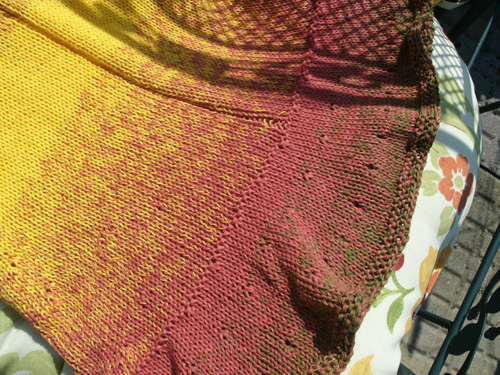 The second color then continues on its own for a while until the first strand is spliced for the third color. And so on. Depending on the colors in the skein, the color changes can be gradual or fairly bold, as you can see in the rainbow colored shawl below. 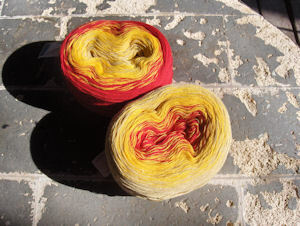 Since the yarn is made up of separate strands, it is easier to split the strands but not overly so. For crocheters, I’d suggest using a blunt hook, such as a Boye, to avoid splitting the strands as much as possible. 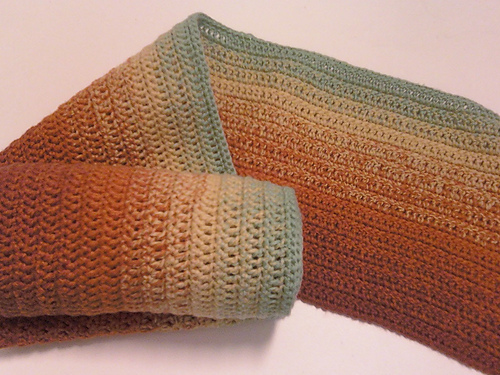 As you crochet or knit, you want to keep going just to see how the next color change works out – very addictive. 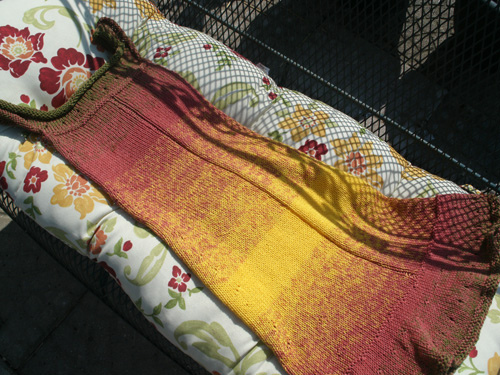 Once completed, washed, and blocked, the final project is soft and a delight to wear. 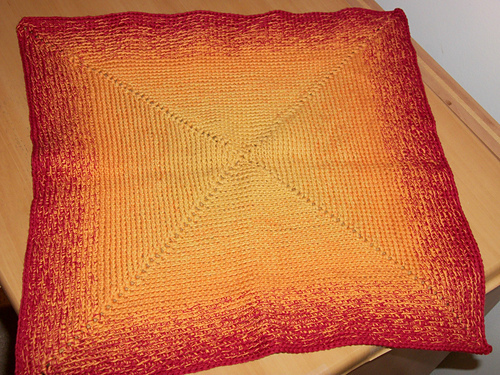 Below are some examples of finished projects at Ravelry using this yarn. The first two projects are crocheted while the second two are knitted. Also, see the Mango Sundress pattern in this issue for an adorable dress for little girls. Be sure to check out the linked project pages, especially for the Summer Lights Dress to see it being worn by an adorable little lady.